The market continued to build on the November recovery, up +3.0% for the month, with locals picking up the buying interest from foreigners, whose recovery in buying activity in November was mostly a re-investment of dividends and partly fresh inflow. 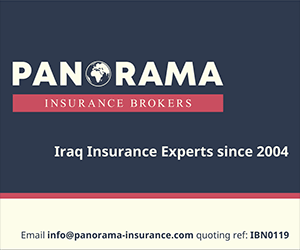 For the first time in a number of years, the new year outlook for Iraq is brighter with improving fundamentals after a number of extremely difficult years. Mr Tabaqchali (@AMTabaqchali) is the CIO of the AFC Iraq Fund, and is an experienced capital markets professional with over 25 years’ experience in US and MENA markets.